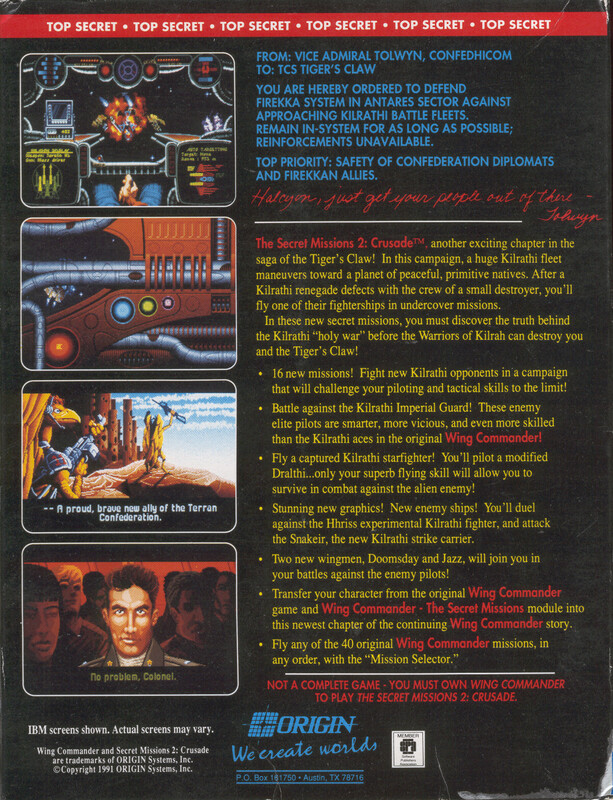 Wing Commander I was a huge success and Wing Commander II was in development during 1991. 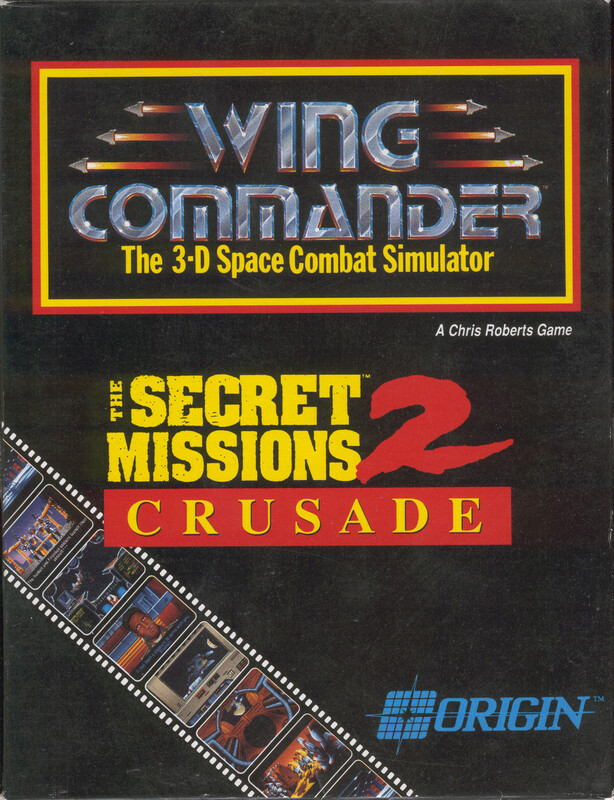 Origin used their experience with The Secret Missions to craft a second expansion pack, The Secret Missions 2: Crusade. WC2 was shaping up to be a huge story driven adventure, so the developers took this opportunity to establish a backstory with SM2. Characters such as Tolwyn, Thrakhath, Hobbes, Jazz and Doomsday were introduced. The TCS Austin appeared as a method for characters such as Angel to survive the impending doom facing the Tiger's Claw in the WC2 intro. In each Wing Commander game the character must face the potential death of wingmates, but in SM2 the first major scripted loss occurred when Bossman died. The tension and emotions were ratcheted up another level for this expansion, and the game created a great environment for Wing Commander II to launch into. The Secret Missions 2: Crusade, another exciting chapter in the saga of the Tiger's Claw! In this campaign, a huge Kilrathi fleet maneuvers toward a planet of peaceful, primitive natives. After a Kilrathi renegade defects with the crew of a small destroyer, you'll fly one of their fighterships in undercover missions. In these new secret missions, you must discover the truth behind the Kilrathi "holy war" before the Warriors of Kilrah can destroy you and the Tiger's Claw! Kilrathi Saga owners may download the Secret Missions 2 free of charge. The EA Replay edition of Wing Commander I includes the Secret Missions 2. The GOG edition of Wing Commander I includes the Secret Missions 2.